Home » Grind 'n' Roast » What is the real difference between coffee grinders? Let’s compare! Here are easy steps to compare coffee grinder reviews so you know what to look for when selecting the best blade or conical burr grinder and how each type of coffee grinder can be used. What is the real difference between a blade grinder and a coffee burr grinder? Simply put, a blade coffee bean grinder uses a sharp two sided blade that spins rapidly inside the grinder to chop up the whole beans into usable grounds for brewing coffee. A burr grinder uses a gear-like-looking wheel that crushes the whole bean into even particles to use in brewing coffee. Why choose a blade coffee grinder? They are significantly less expensive. A blade coffee grinder can be used for multiple other tasks in your home kitchen such as grinding spices for use in recipes. Some people find that having a blade type coffee grinder doubles as a spice grinder as well. Although the heat produced through this method of grinding your beans sometimes imparts a burnt taste in your finished coffee, it’s far better to grind your own coffee at home than to purchase pre-ground in cans. Why choose a burr grinder? Research shows that some heat is transferred to the beans when the whole coffee beans are ground using a blade grinder, something like pre-toasting your grounds before you brew your coffee. Using a burr grinder will reduce the transfer of heat significantly over using a blade grinder. Many people notice a slight “burnt” taste in the coffee that had been ground with a blade type of grinders, compared to tasting coffee ground with a burr coffee grinder. Your coffee will taste ‘smoother’ when you choose to use a burr grinder because the coffee particles are more even in nature. When all the grounds you use to brew your coffee are of the same size, you will be able to extract more flavor from your purchased beans. You will save money because your coffee beans will be more evenly ground. It’s very typical that you will use less coffee by grinding your whole bean coffee with a burr grinder. The large particles left by a blade coffee grinder do not have the same surface that evenly ground coffee has, so you would need to use more coffee to get the same strength and flavor from your efforts. You will also find that you have way more control with burr grinders. The better burr grinders allow you to “dial up” the size of the grounds (extra fine to extra coarse) as well as the correct amount of grounds for the number of cups of coffee you plan to brew. What is the difference between a burr grinder and a conical burr grinder? Conical burr grinders are often a bit quieter than regular burr grinders. That is because they tend to grind at a slower revolution. A slower grind helps to insure a more evenly ground result for those who prefer to have ultimate control over their coffee making. And, you really will notice a difference in the flavor of your coffee, but it might not be all that important to you. Why would you choose a conical burr coffee grinder? Conical burr grinders grind your whole bean coffee a bit slower than the standard wheel type burr grinders. Because the motor grinds slower, there is less noise, and less heat transference. You will find that the conical burr coffee bean grinders typically have more settings affording you more grind options such as settings for Turkish coffee and extra fine for making espresso. You can more about the best rated conical burr coffee grinder here. It’s worth reading through the Coffee Grinders Reviews to find the best grinder you possibly can! The difference is absolutely worth the effort… and it’s one you can TASTE! Look through some of our other coffee grinder reviews, listed below to find out what kind of machine you are looking for. 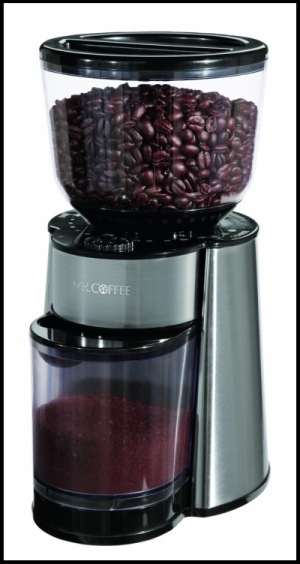 The Mr Coffee grinder has great new features and it outperforms other grinders. 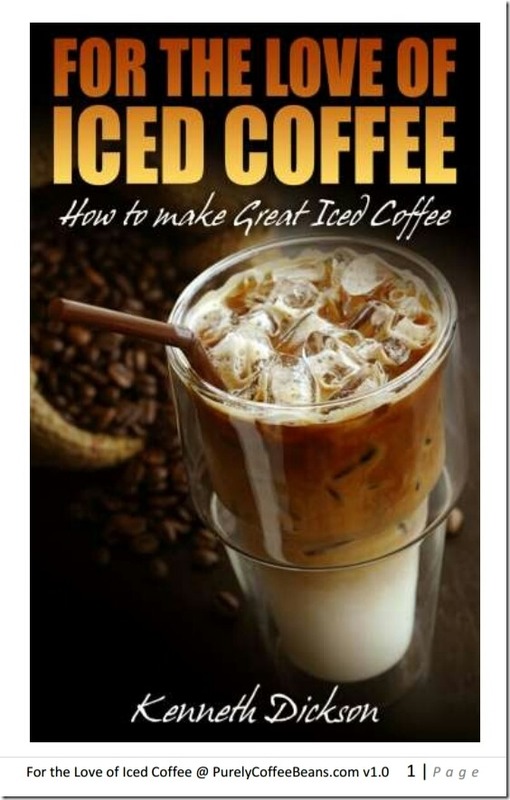 Read more at Mr. Coffee Grinder Review. The Krups coffee grinder has many people talking! See what others are saying about this grinder by browsing the real time coffee grinder reviews at Krups Coffee Grinder. The best burr coffee grinder, according to reviews from several sources as well as in our own home testing is The New Infinity Conical Burr Grinder.